ζ Tauri (HD37202, HR1910) is a well known classical Be binary star with a gaseous circumstellar disk. Observations of the Hα emission line of that star reach back many decades. Since ζ Tau is a binary, any tilt of the disk will be modulated by the tidal force of the companion. This can manifest itself as nodding movement and is among others measurable at the depth of the central absorption (CA) within the Hα emission. The monitoring of the Hα emission profile of ζ Tau for almost 7 years (JD 2455640 to JD 2458109) enables the study of the time behavior of the CA of that profile. During this time section the circumstellar disk of ζ Tau had a minimum of mass. 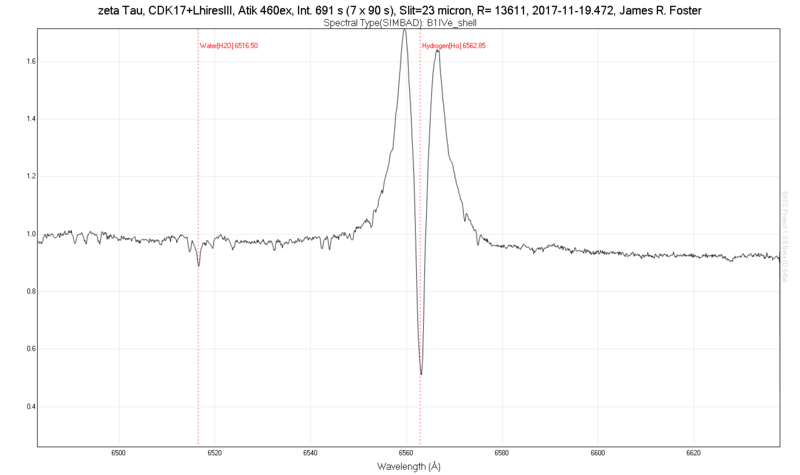 On the base of 200 high resolved spectra of the ARAS spectroscopy group the depth of the CA minima has been evaluated. The period analysis of that time series data led to a period of 474 days. That period has been attributed to the nodding period and hence to the precession period of ζ Tau´s disk during the time section mentioned above. Fig. 1 in the attachment shows the ARAS group monitoring of CA of the Hα emission, Fig. 2 shows the period analysis of the data in Fig. 1 with the dominant period of 474 days. Fig. 3 shows the corresponding phase diagram of the found period. This data set improve with additional observations of more than one year, the period of 442 days, published in IBVS No. 6208 (Pollmann, 2017). The CA minimum at phase 0.5 in Fig. 3 corresponds to a maximum of the self absorption in the Hα emission, the CA maximum at phase 1 corresponds to a minimum of self absorption. O. Garde, K. Graham, O. Thizy, B. Hanisch, J. Guarro, T. Lester, A. Favaro, E. Pollmann, U. Zurmühl, Ch. Buil, C. Sawicki, E. Bertrand. I am very grateful this colleagues of the group for that collaboration. each of your LHIRESIII spectra of zeta Tau which contributes to this campaign is welcome. Please be so friendly to send me them. RE:"your LHIRESIII spectra of zeta Tau which contributes to this campaign is welcome." Will do! I'll send it to you after I verify I have no others btw 19Nov17-31Dec17 to send. the Be star zeta Tau will be the next months well to observe. 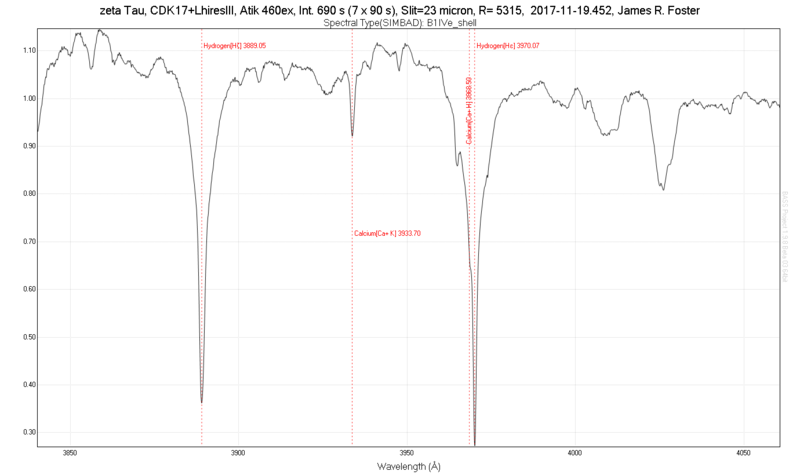 Against that background it would be great, if interested Be star observers could take spectra in order to continue our monitoring of the central absorption depth in Halpha (see attachment). At present we are shortly before the next maximum. Interesting of this monitoring is, to find out a correct period of the disk libration, represented with CA.